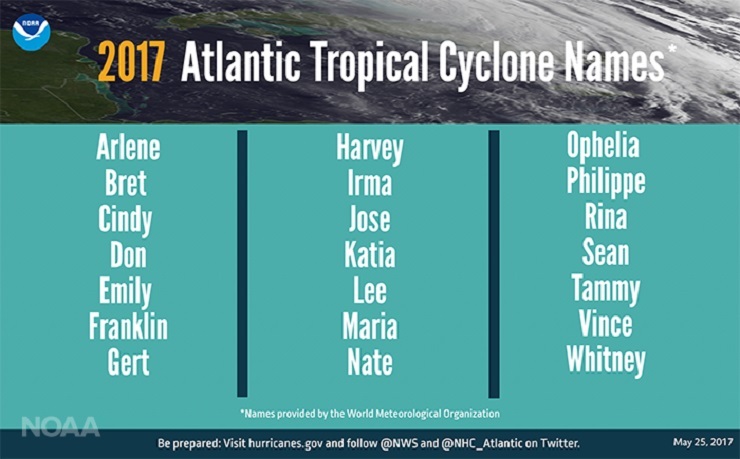 FLORIDA – Forecasters at the US National Oceanic and Atmospheric Administration (NOAA) Climate Prediction Center say the Atlantic could see another above-normal hurricane season this year. 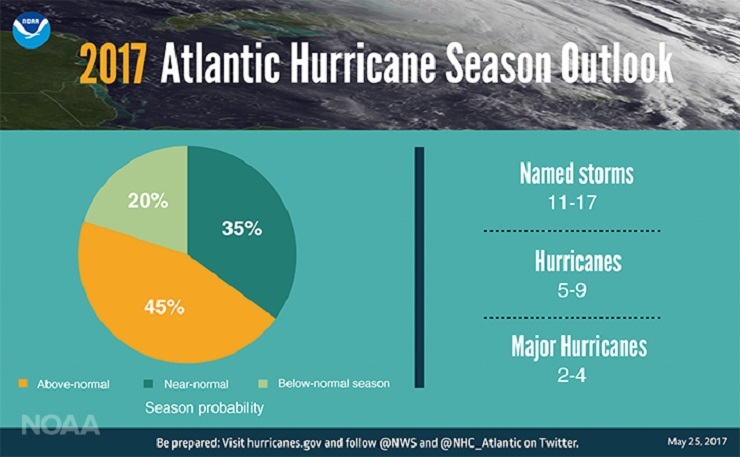 For the upcoming Atlantic hurricane season, which runs June 1 through November 30, forecasters predict a 45 percent chance of an above-normal season, a 35 percent chance of a near-normal season, and only a 20 percent chance of a below-normal season. Strong El Niño’s and wind shear typically suppress development of Atlantic hurricanes, so the prediction for weak conditions points to more hurricane activity this year. Also, warmer sea surface temperatures tend to fuel hurricanes as they move across the ocean.